Dogs Vintage Wooden Wall Decor- Wooden Wall Decor 24"
This Track Dogs, Vintage Wooden Wall Dcor is handcrafted using a rustic distressed style. Each Wooden Gallery Decorative Wooden Art is designed and Created exclusively at studio made to order just for you. Each item is hand selected by our craftsman and created from the finest quality wood. To keep the luxurious Modern display in your beautiful home. This Rustic Wooden wall Art is created with special media favoring the distressed style design. For a perfect finished look to enhance the Vintage Modern style. Each piece will very in appearance because of the handcrafted nature of our work and the individual style of our artists, making your item a one of the kind creation. 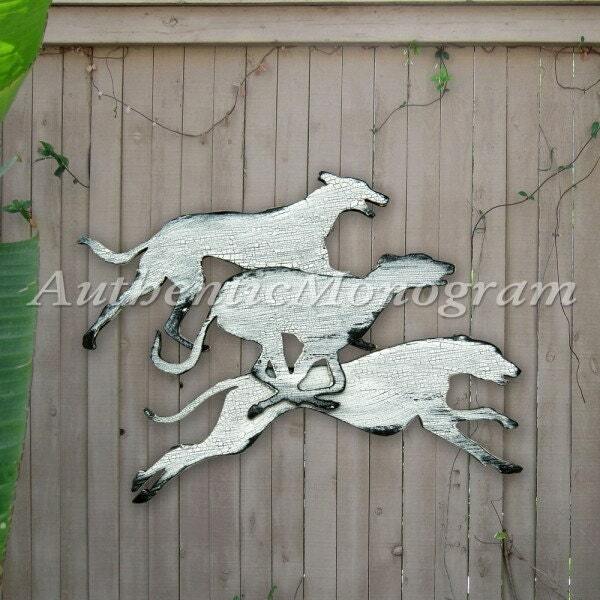 It makes for a great gift for any occasion and great for home and garden decorating. Arrives ready to decorate your living space with!